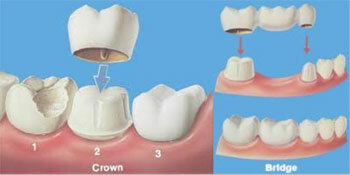 A dental crown may be used to restore a tooth that requires more than a filling to save its integrity (e.g. cracked teeth or issues with teeth retaining a filling due to excessive decay) Bridges are used to replace spaces and rely on the teeth on either side. 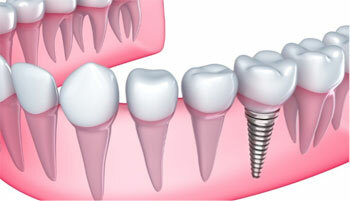 A Dental Implant is the most modern way to replace a missing tooth. It is composed of a titanium screw that is placed into the jaw with a restoration (Crown) on top. Dental implants have the longest life and best success rate of any dental treatment. To replace missing teeth without affecting adjacent teeth. Restore a patient’s confident smile (and confidence in themselves). Restore or enhance facial expressions.